WiperSoft anti-spyware (wipersoft.com)protects a computer from such threats as browser hijackers, adware, unwanted toolbars and other potentially unwanted programs, also known as PUPs. The security tool was released in 2015, and was initially a free program. However, it got a complete makeover in 2016 and became a paid version. It came back with improved detection and removal functionalities, a re-created scan engine and a new design. Currently, WiperSoft users are protected against 16 thousand different threats, which can take over browsers and change settings, cause ads to appear or lead to malicious websites, spy on users or allow other malware to come in. These kinds of threats can enter computers along with legitimate programs, which allows them to spread so widely. They are distributed via the so-called bundling method, which involves unwanted programs being attached to legitimate ones. This is quite a sneaky method because it allows those unwanted programs to install unnoticed. A tool like WiperSoft is beneficial to users because it removes the infection and undoes all the changes the infection carried out. For example, if a browser hijacker altered browser’s settings, the security program would reverse the changes. One of the most appealing features of WiperSoft is its simplicity. The program is not difficult to use, and its user-friendly interface allows even the most non-tech savvy people to use it to its full potential. All one needs to do is launch the program and press Scan. If threats are detected, a list of them will be given and the user will be able to decide whether to keep or remove it/them. The program currently comes in two versions, a paid and a free one. The free one allows users to check whether their computers are infected with something, and shows a threat’s location if one is present, allowing the user to manually delete it if he/she wishes to do so. In order to use WiperSoft’s removal function, however, the full program needs to be purchased. In addition to the removal feature, the user will also get free help desk services and custom fix features. 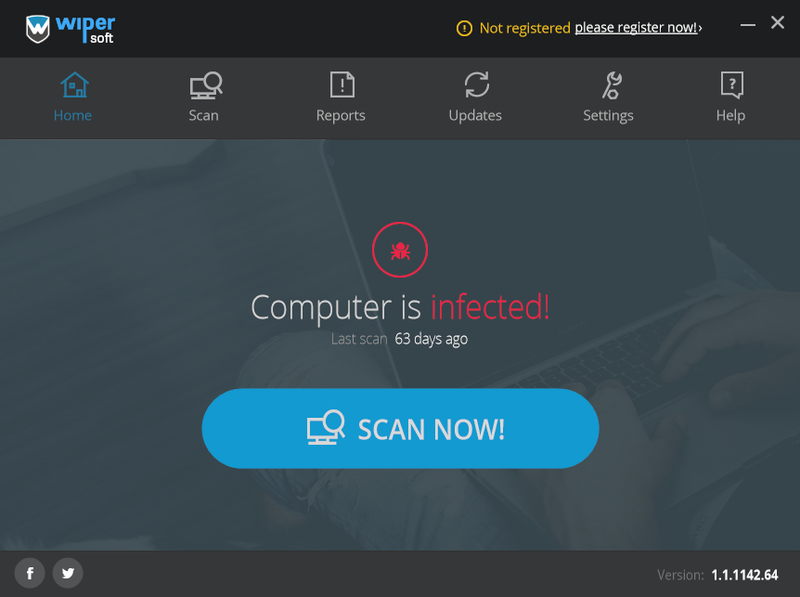 Since its launch in 2015, WiperSoft has eliminated more than 200 million infected items. WiperSoft is a powerful security tool that will help protect users from common computer threats, such as hijackers, adware, etc. It detects infections that may not be detected by other security tools of this kind. And if it is not able to delete a threat, users have the option of contacting the help desk, where they will be provided with a custom fix. While it is relatively new compared to other products in this industry, thousands of users choose WiperSoft to protect their computers every day. What is an ICO whitepaper?